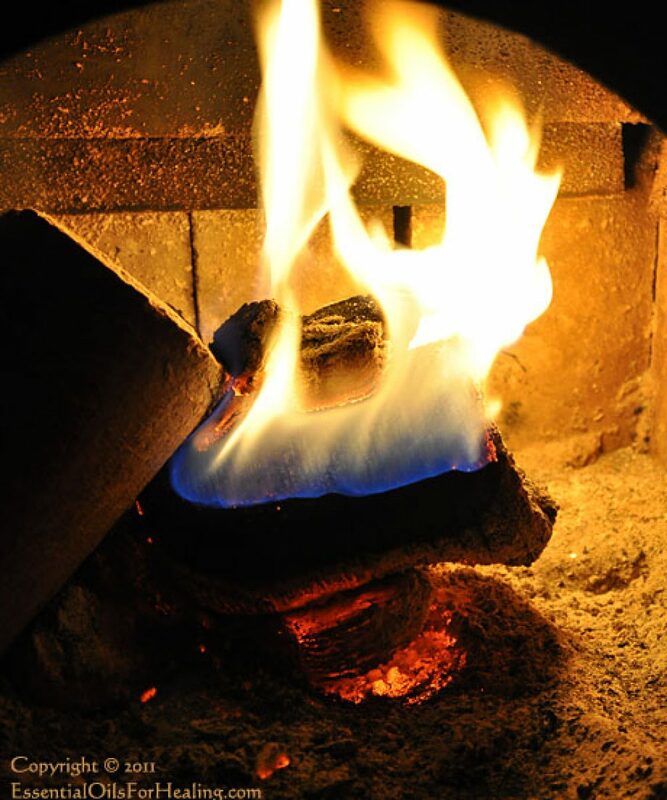 When you heat your house with a woodstove like we do…now-and-then you’re going to bang your hand or fingers or get burned. I’m not talking about serious injuries, but those inevitable small bumps and bruises that happen to all of us. I was making a fire on a cold February evening this spring. Pulled my hand back out of our wood stove hitting my knuckle pretty darn hard against it. OUCH! It hurt. Noticed a bruise starting to form. 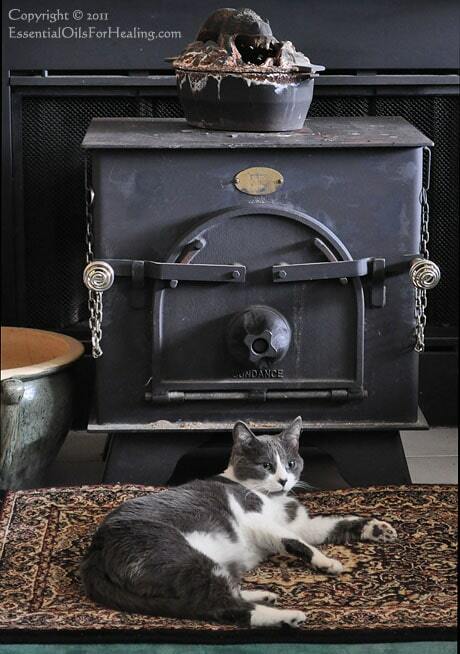 Our cat, Jaeci (a furry heat-seeking missile) loves to hang out by the woodstove. The hotter the better as far as she is concerned. …excess bleeding, and shock. A versatile, therapeutic essential oil, Helichrysum’s compounds may either increase or stop bleeding, depending on what the body’s immune system needs to heal. A strong anti-inflammatory, Helichrysum’s known to stimulate cell regeneration and repair nerves, plus it has an emotionally calming effect. Helichrysum is also non-toxic, non-irritating, and non-sensitizing. 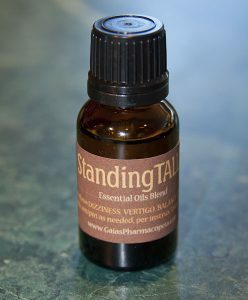 An expensive, but WONDERFUL essential oil for your first aid emergency kit (even if I don’t like how it smells!). And well worth the investment. A little goes a long way. I didn’t take a photo of my bruise. 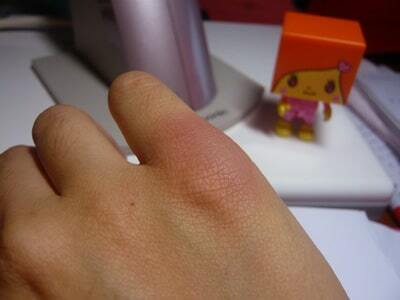 It was on my right hand (I’m right-handed) plus it happened late at night, just before I went to sleep. I wasn’t going to ask my hubby to wake up to take a photo! The image of this young woman’s bruise looks a lot like the one I had. I put 1 drop of Helichrysum essential oil on my bruised, slightly tender, knuckle and went to sleep. After I had been up awhile, remembered to check my knuckle. NO bruise! Not a trace of tenderness or even redness!! I couldn’t quite believe my eyes, so went over to the window to take a closer look. Nope, not a trace, hint, shadow of a bruise. And absolutely, NO tenderness…like I hadn’t even hurt myself at all. Impressive? You betcha! Bruises happen to all of us. Helichrysum therapeutic-quality essential oil can heal bruises quickly! I highly recommend you consider purchasing the best Helichrysum you can afford and add it to your home, sports, and camping First Aid Kits. One of these days, you or someone you know may benefit from Helichyrsum’s healing power. My toddler fell and bumped his head. Immediately, I put Helichrysum on it. I had read it somewhere. Afterwards, I was worried I had put the wrong oil on him and was scared to death. Thanks for your post. I was really relieved. His bruise does seem to be going down. We will see. Thanks again. Hi Bianca ~ Glad you found our site…and were reassured. Helichrysum is a wonderfully healing essential oil. Let us know how your little guy does. As a general rule (according to the British Aromatherapy guidelines), DILUTE pure essential oils for use on babies, toddlers, and children. They are so little. 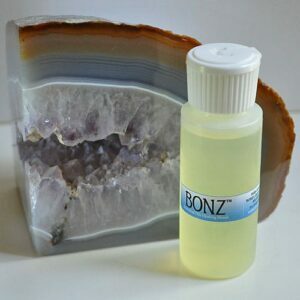 More sensitive to these healing essences, they respond well to dilute applications. Certain EOs like peppermint (menthol) should NOT be used at all on kids under the age of two. Those British guidelines advise: 1/10 of an adult dose for kids ages 0-4yrs, 1/6 to 1/3 of an adult dose for ages 5-8yrs, 1/3 to 1/2 dose for children 8-12yrs, and 1/2-2/3 dose for 12-15 yrs old. The simplest way to do this would be to add an appropriate number of carrier oil drops to each drop of pure essential oil. Keep the extra in a capped bottle until you need to use it. Why should peppermint not be used younger than two? 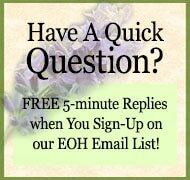 What does EO mean? I have used some diluted on my 3 year old to reduce fever. It seemed to work. I keep reapplying as it comes back throughout the day. I would have used it on my 1 year old if he got a fever too. Hi! 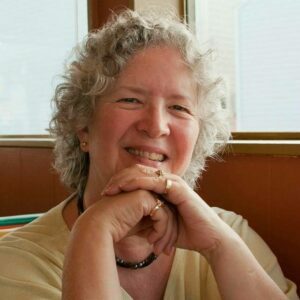 Jessica ~ EOs is my abbreviation for Essential Oils. Sometimes I don’t feel like typing the words out. Sorry for the confusion. The issue with using Peppermint on little children (under the age of two) is MENTHOL the major healing compound. It has been known to cause adverse lung reactions in very small children, making it difficult for them to breathe. Plus as you probably have experienced yourself, even the fumes are VERY strong if used anywhere near the eyes and can irritate mucus membranes (eyes, nose, mouth). Using it diluted on your 3-year-old is okay. Folks often don’t grasp that pure essential oils, even though completely natural essences, are POWERFUL. They need to be used conservatively, especially with little children and babies. The general advise taught in our aromatherapy certification training, is “Less is Best.” Try a little diluted. Then wait to see if it has the desired effect. It’s a good idea to have a good reference book on using essential oils for family needs. I have several excellent books listed in our Amazon.com store. Jessica ~ Checked my medical aromatherapy references to refresh my memory on why PEPPERMINT and other MINT essential oils and/or MENTHOL remedies and medications should NEVER be used on infants and young children under the age of two. It can KILL them instantaneously…due to RESPIRATORY ARREST!!! There are documented medical cases of reflex reactions of the nasal passages or laryngo-spasms closing off the infant / toddler’s ability to breathe. Obviously, it’s not something a parent would want to take a chance with. Hi Leslie ~ That’s a cast iron steamer we use to humidify our house when we burn our woodstove. It’s in the shape of a grizzly bear fishing in a pond. Our water is very high in natural minerals, so when the steam condenses on the sides it adds white & colored streaks looking a bit like deposits at a boiling volcanic mudpot. I did read that helichrysum is an anticoagulant so shouldn’t be used in open wounds (or blood with thinners). Just in case anybody thinks you mean any kind of bleeding. I have a bruise from a serious sprain that’s nearly gone after 48 hours using hely. It’s truly amazing. 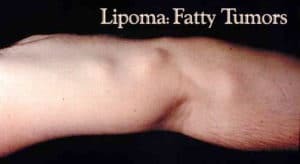 Lucy ~ Fantastic news about your bruise healing so quickly! My understanding is that Helichrysum can be used both to increase or stop bleeding…whatever healing response your body needs at the moment. Have oil using friends that keep Helichrysum in their first aid kits. Now, if one is using blood-thinning medications, there may be some cautions that would be appropriate.